A few stray pests can turn into a major problem when left unaddressed. However, many people find fault in the common methods of deadly traps and pesticides being used against the local wildlife, inconvenient as they may be. Thankfully, there is a happy medium for those who love animals and love them more when they aren’t in the yard. Here is a look at five natural pest deterrents that are safe and effective for everyone involved. Placing landscaping mesh around edible plants and flowers is one of the best ways to keep rodents off your property. When rodents can’t find a source of food, they usually won’t stay for long. Using landscaping mesh will deter rats, mice, and squirrels both from digging up your seeds and from burying their own as food storage. Removing that access will then make your yard a poor place for nesting, reducing your risk of infestations. This can also deter deer from wandering into your yard and eating your plants, discouraging them from lingering in populated areas. Landscaping mesh can easily be put up in a single afternoon with nothing more than a few basic tools. While some birds are vital to the local ecosystem, they aren’t always the best neighbors to have in your yard. Bird droppings are acidic and damage the finishing on fencing and on your car, as well as damaging your roofing. They can also be particularly hazardous if you have children, as their droppings can carry a variety of dangerous diseases. A bird jolt is a thin metal wire installed by pest control professionals that shocks birds and other small animals whenever they come into contact with it. The shock that is delivered is very mild, and unlike other electric solutions, won’t hurt the animal at all. It simply feels unpleasant, like a prank hand buzzer, and discourages them from landing on the treated surface. Having this in your yard can also deter them from nesting on your property, as they won’t want to linger around in areas where that wire is placed. Many homeowners are surprised to hear that they can make their own non-toxic insecticides and pest deterrents with a few basic supplies. In a small spray bottle, you should combine a few cups of warm water with lemongrass or peppermint oil. Those substances won’t damage your foliage at all, but they will keep some pests off your property. The scent of these oils is repulsive to most pest insects and to spiders, deterring them form coming near your property. You can also use a mixture of white vinegar, mild soap, and warm water to mop your floors or clean other surfaces to make your home’s interior particularly inhospitable to pests. Rodents and insects need some type of shelter, and piles of debris in your yard will make perfect nests. Two or three times a year, you should go through your yards and remove clusters of branches, weeds, and tall grass. Natural debris like leaves and lumber will also attract termites, making it essential that you keep your yard clear of clutter. You can also trim your bushes so that the area under the bush is fully visible, eliminating a common hiding place for all sorts of animal and birdlife from your yard. Raccoons are extremely intelligent animals, and they will get into your garbage if it isn’t properly sealed. 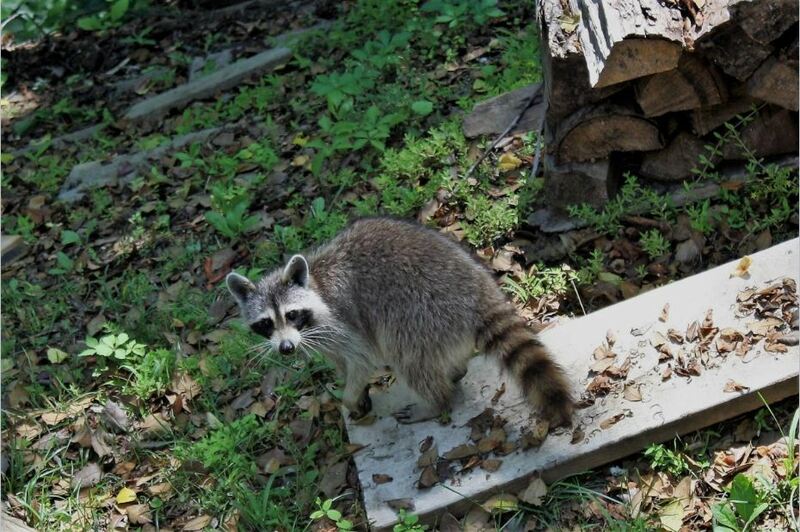 While not everyone has a raccoon problem, it is important that you keep your trash covered to avoid attracting them. In addition to locking or tying the lids of your garbage bins, you should also remove any bird feeders that are on your property. Almost any source of food that is in your yard is going to attract raccoons and other pests. If you believe that you may already have a problem with raccoons, you can call a pest control service and use a bungee cord to keep the lid of your trash firmly in place at night so that they will no longer have a reason to stay. Making your home and yard inhospitable to wildlife is the best way to keep them from settling down where they shouldn’t. Especially with animals, it’s best that they be encouraged to nest in less populated areas for their own safety. Making an inhospitable atmosphere for them, however, doesn’t have to include cruel or deadly measures. Taking a few simple measures to deter wildlife from settling on your property can be simple, affordable, and humane.